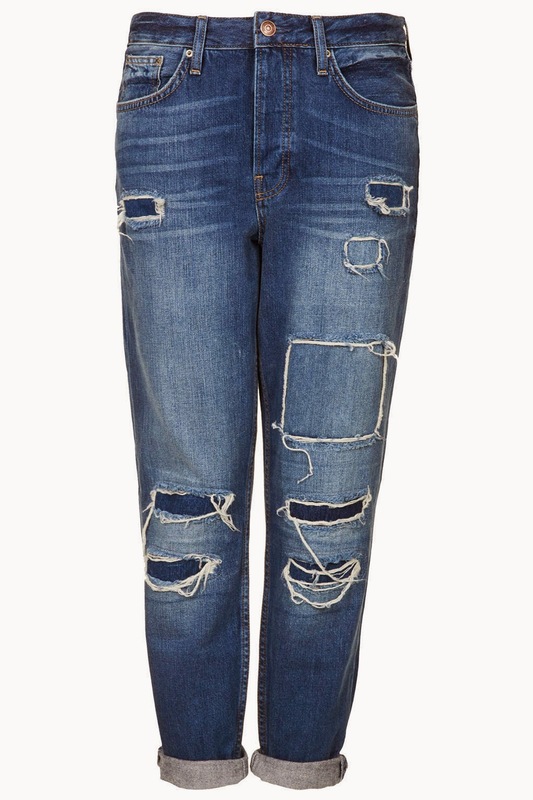 Style Theory: The Boyfriend Jean..slouchy, relaxed, distressed, cool and comfortable. The boyfriend jean is now a major player in the 'jean gang', after the reign of the skinny, the Boyfriend is racing up there grabbing at the heels of the skinny trying to steal it's crown. I think boyfriends are just fabulous, my husband hates them with a passion..maybe becaused I look like I am wearing his jeans but for comfort and style they cannot be beaten. They look great with sweaters and T-shirts but dress them up with a pair of heels, a silk shirt and a sharp jacket and you take them to a new level of cool. Fab pop of colour with the heels. Clash your primary colours together and wear with the 'new neutral' leopard or snakeskin shoes. Stripes, boyfriends and court shoes..a match made in heaven. Wear in the summer with flat ballet shoes and dress up your tee with a sparkly statement necklace. When the summer comes team your boyfriends with open toed shoe boots. I adore this look, the trainers are gorgeous, boyfriends and baseball jacket, all super cool. Wear your boyfriends with this season's must have trainer..the slip on. These are expensive, however the wash and level of distressing is perfect..but you can get boyfriends that look fantastic for a fraction of the price see below. 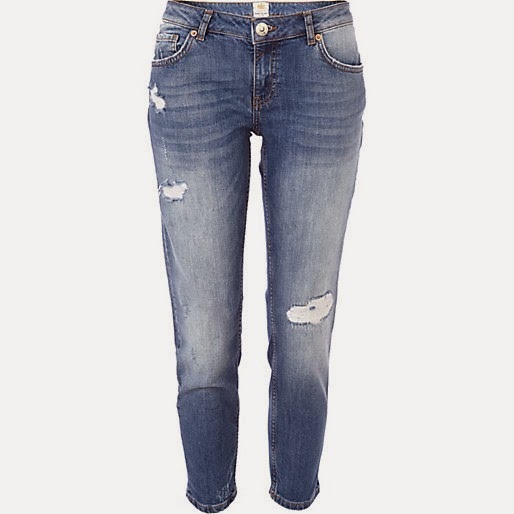 These top all the fashionista lists of their favourite boyfriend jeans, I have not seen these 'in the flesh' nor could I spend this much on a pair of jeans but are an ideal shape, not too baggy therefore would be flattering on us shorter ladies and the wash is spot on. Not too expensive for a pair of designer jeans, they have a high waist so would hide a mum tum. 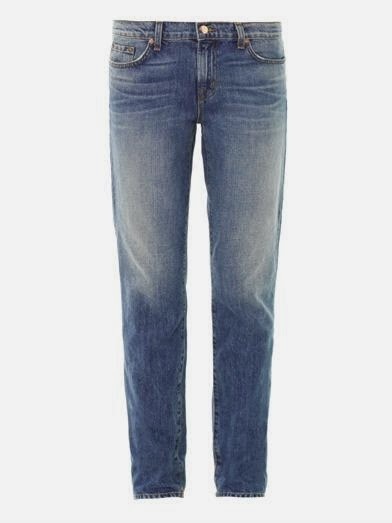 Moving into a more affordable bracket, I love Gap boyfriend jeans they seem to fit me really well round the waist and the perfect' bagginess'.They are pretty reasonable and even better if you wait for Gap's 30% off they seem to have every couple of months. This is my favourite Gap wash, I personally prefer the lighter wash and like a fair amount of distressing. 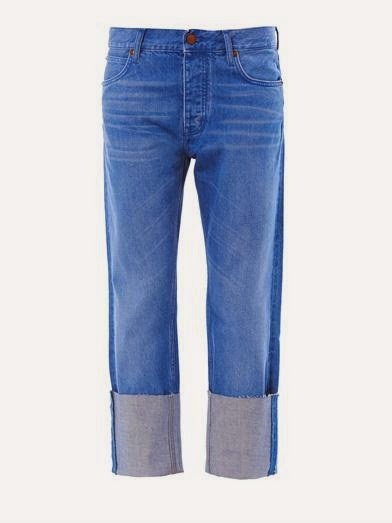 These are good if you are looking for a high rise jean, they are quite short so if in doubt go for a slightly longer leg. 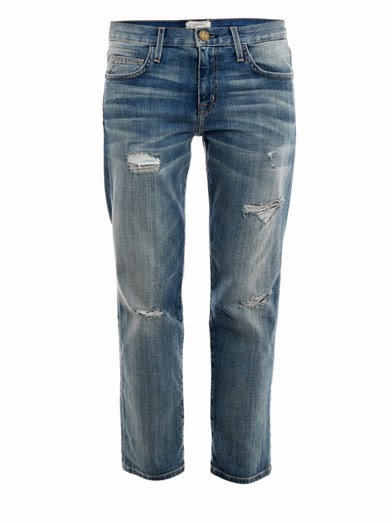 These jeans are the same rise as above just more distressed and look really cool on. River Island are always a good go to destination for jeans but try them on as every style fits so different and you may need to up or down a size. These look pretty vintage, the wash is good and the level of distressing perfect. 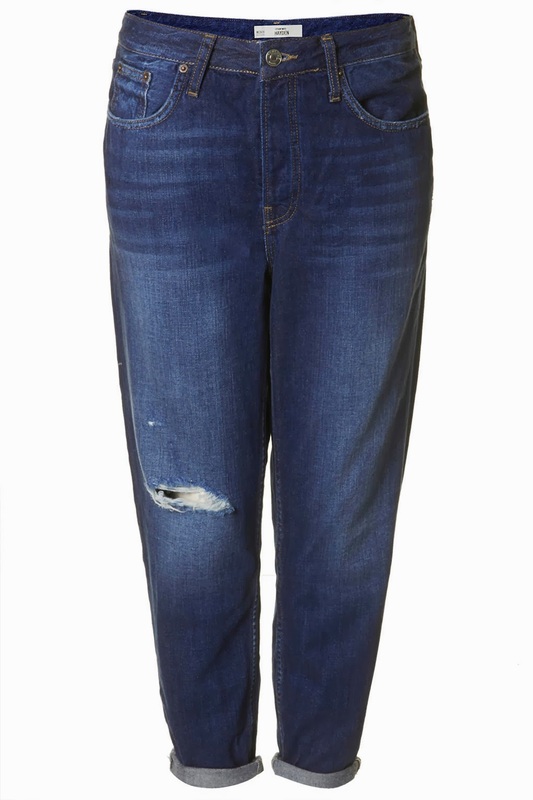 A great spring/summer jean, the pale colour will look great with pale sandals or pastel heels. These are a darker, dirtier wash and will look good paired with brighter colours. 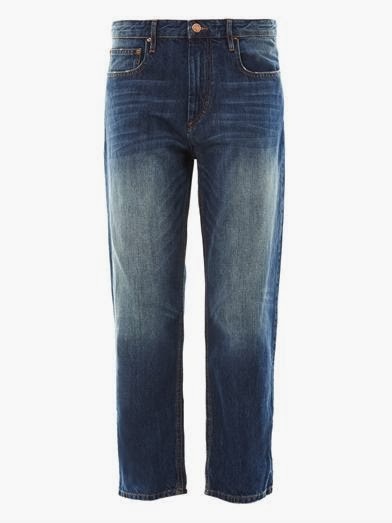 The most reasonable of all the jeans, these are fairly skinny on the calf (too skinny for me ) but if you have lovely thin legs these would be perfect. As with all jeans, you need to try on as many pairs as you can in order to get the correct fit. If you are smaller look for a skinnier leg, a less baggy option. 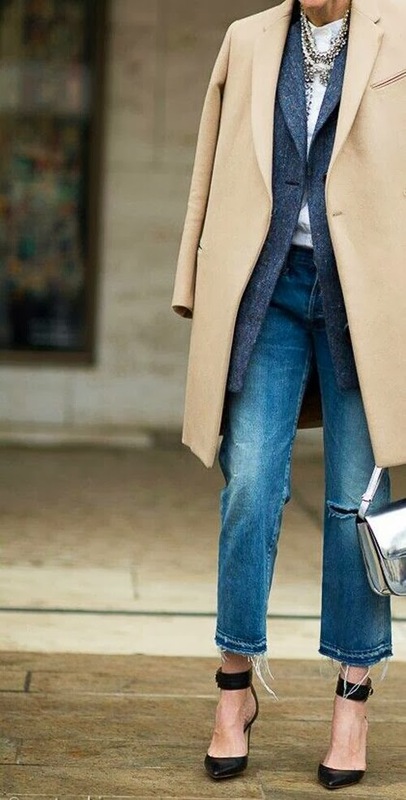 Make sure that the base of the jean falls at the most an inch or two above your ankle for a more flattering look. I like the waist to be fairly generous so I can tighten it up with a belt and they hang a little more off my hips, but this is entirely a personal preference and with the emergence of the 'mom' jean (a higher waisted jean) then with these it is probably better to wear them more fitted at the top. I hope this makes sense and may help you to fill a boyfriend jean shaped gap in your wardrobe. 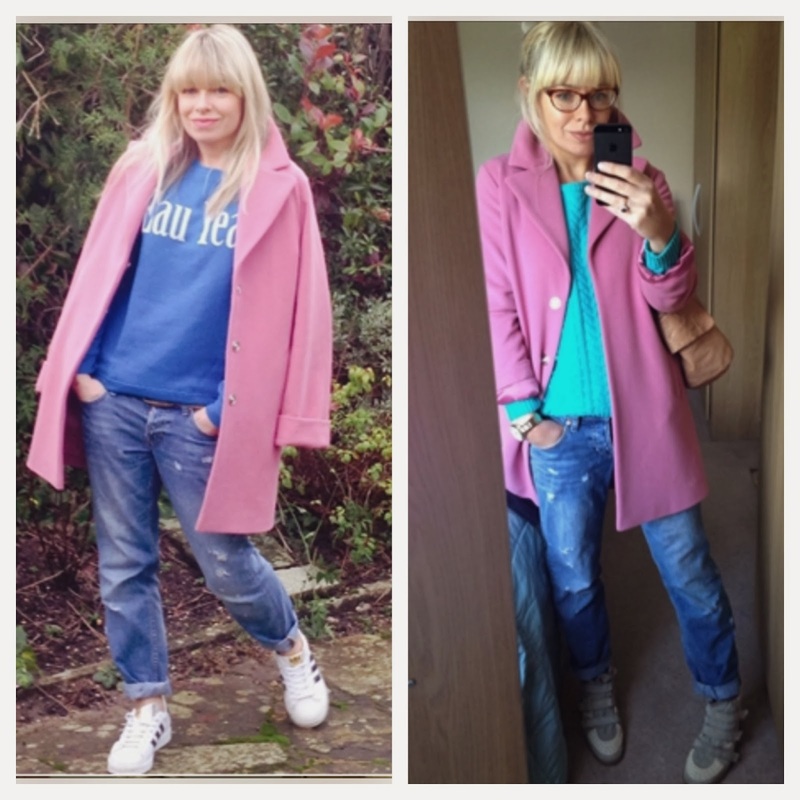 My boyfriend jean looks over the past 6 months..I live in them as sometimes you just need to be comfy and after two kids I feel super squashed in skinny jeans! 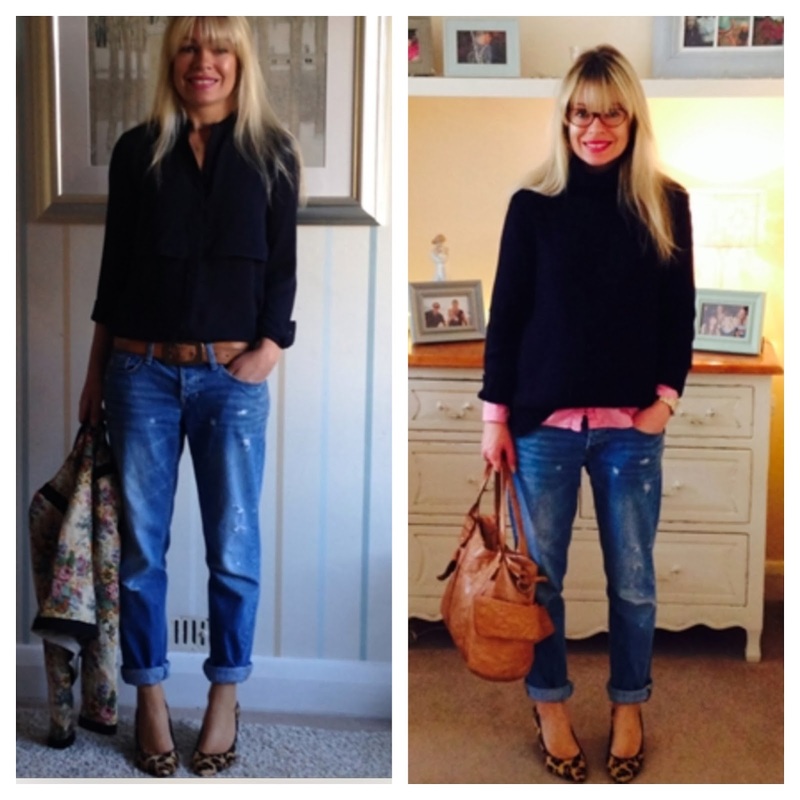 There is my round up of the fabulous Boyfriend jean, it is my schoolrun favourite! Do you wear boyfriends, where are your's from? Great post! I tend to still live in skinnies but I do have a pair of boyfriends and am wearing them more and more. After reading this I really want to try on the first pair - they look perfect but at that price I should probably stick with the ones I have! Love all the pics of you in your boyfriends, they look great on you. 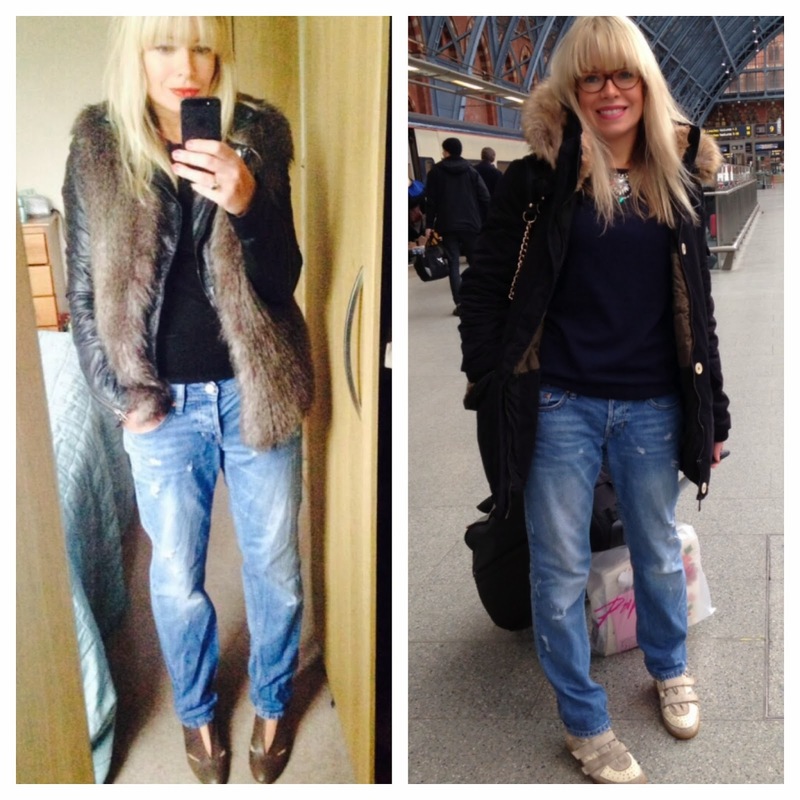 I love my boyfriend jeans especially teamed with a fab blazer & simple cami/t-shirt. 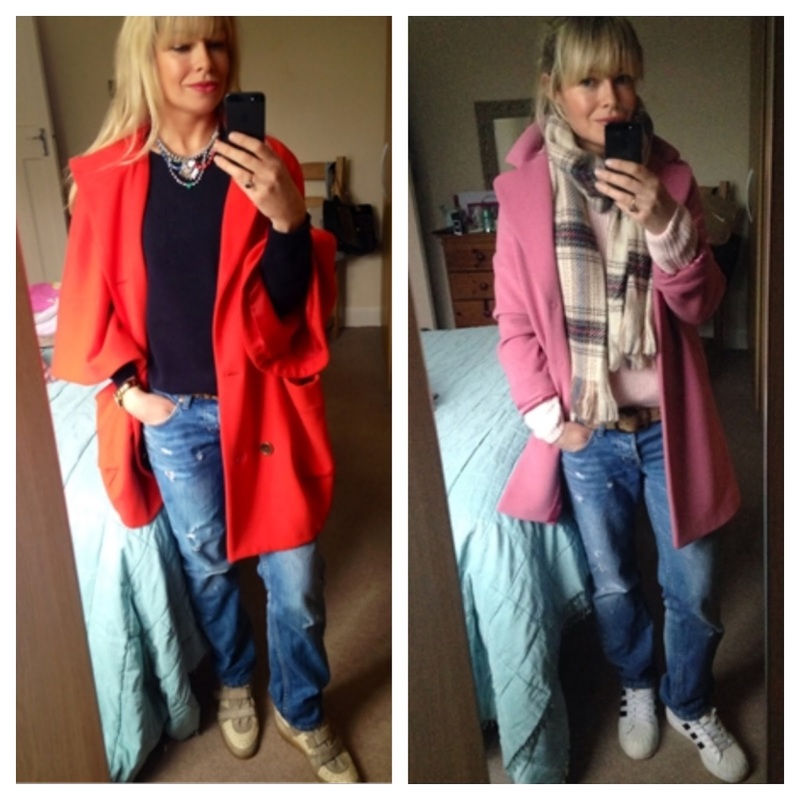 You've chosen some great high street picks Frances & I love all the suggested styling pictures - just fab! 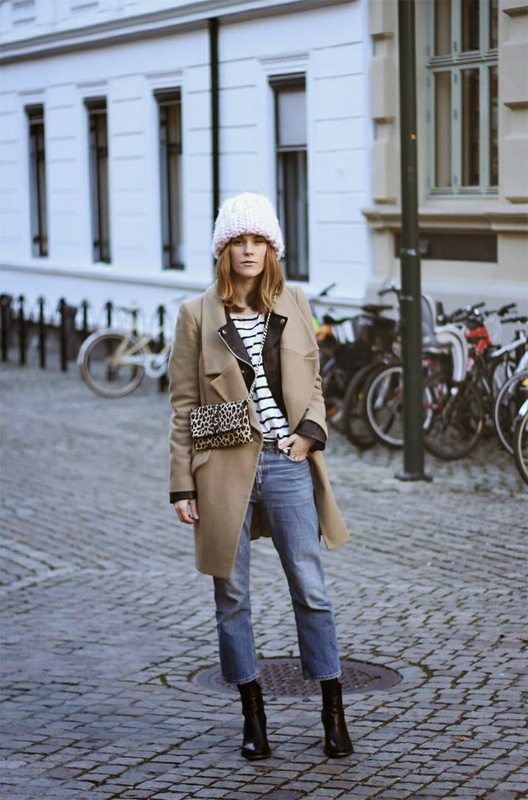 I haven't tried the boyfriend jean yet ... being small, I can't quite get my head around the look of them on me (plus am addicted to my skinnies) However, after reading this, I may just pop into Gap and try again! I love the look of the GAP boyfriends but when i tried them on they came up SO short! I'm only 5'3" and they were about 2 inches shorter than they needed to be when turned up and they didn't stock a longer length in store, i was amazed and very disappointed! I have boyfriend jeans from TK Maxx, Matalan and Gap! i love boyfriends on everyone else, but i have big rugby player shoulders and like to scrape my hair back, so rather than looking like i am in boyfriends, I err towards looking like the 'boyfriend'. I did see a pair of distress, paige skinny bf's AND they were 75% off, but by the time i had decided to go for it, they were sold. BTW I have ASOS, H&M and Zara boyfriend jeans but my favorite are still my Diesle Fayza - not a true bf jean but still I love them!